The magic of the holidays is almost inevitably reminiscent of the magic of the Wizarding World. That being said, filling up your shelves with Harry Potter knick-knacks seems like a poor allocation of magic. This holiday season treat the Potter fans in your life to a magically useful gift. While board games may not be nearly as competitive as the Triwizard Tournament, that’s not to say that a little friendly competition can’t be enjoyed. The Harry Potter Edition of Trivial Pursuit will test even the most devoted Potter fan’s knowledge of the series. Every studious witch or wizard needs to make sure that they have this set of three essential books in their Hogwarts Library. 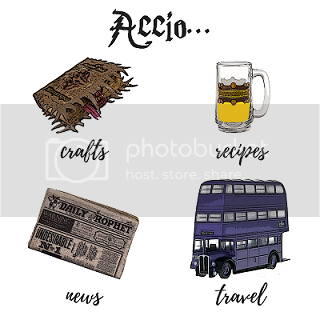 This set includes: Fantastic Beasts and Where to Find Them; Quidditch Through the Ages; and The Tales of Beedle and Bard. For the wizard who is unable to concoct any tasteful potions in the kitchen, this Harry Potter cookbook will serve as the perfect resource for them to study. Featuring recipes like pumpkin juice and Kreacher’s French Onion Soup, there is something to appease even the pickiest of tastes. What do you get a young witch or wizard for the holidays during their first year at Hogwarts? A set of pajamas in their house colors, of course! These unisex pajamas come in children’s sizes 8-16. So your best friend spends all of her time in potions class, but realizes she still has nothing to drink her latest batch of Polyjuice potion from. Gift her this cauldron mug so she will finally stop drinking straight from the beakers. The perfect game to play near a cackling fire is, without a doubt, Wizard’s Chess. A great gift for those who like to spend their down time away from absurd Muggle inventions like the smart phone or television. For the witch who wishes to discreetly show pride for her heritage, this Alex & Ani bracelet is right up her alley. A chic item to display her belief in the Legend of the Deathly Hallows – she won’t want to take it off. It is prudent for witches and wizards of all ages to keep track of their schedules to ensure no deadlines (or OWLs) are forgotten. This journal includes calendar space to keep plan a month at a time and also use weekly layouts for more detailed planning. While we may not be able to escape Muggles’ invention of technology such as laptops, show your Wizard pride with these laptop stickers that commemorate the Deathly Hallows. They come in packs of two – perfect to also adorn the back of your flying car. Previous articleDIY Harry Potter: Luna Lovegood Wreath!